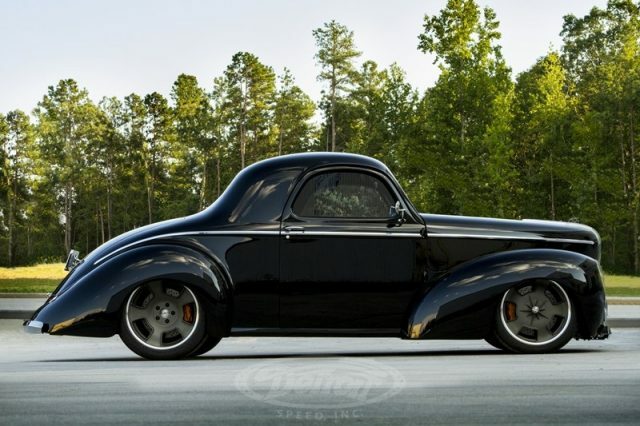 This time we have one of the Detroit Speed Inc. premium Hot-Rod builds, actually it’s a classic all-steel 1941 Willys Americar. 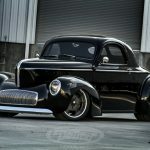 This kind of Willys hot-rod builds have become symbol project among the best hot-rodders, while this particular has a great history, which involve even drag racing. But now his owners Mike and Janie want a complete transformation of their hot-rod ride. 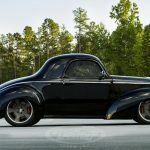 This all-steel 1941 Willys Americar has been completely rebuilt and equipped with the best possible materials on the market. The beautifully shaped body has been finished with the PPG black color. The complete custom black leather interior has been made by MM Hot Rod Interiors, which they have used premium Relicate custom leather. The A/C unit is made by Vintage Air, while the linear small dashboard was provided by Classic Instruments. The Powertrain under the hood of this 1941 Willys Americar is the naturally aspirated General Motors 427 cubic-inch, 7.0 liter LS7 small-block Crate V8 engine. 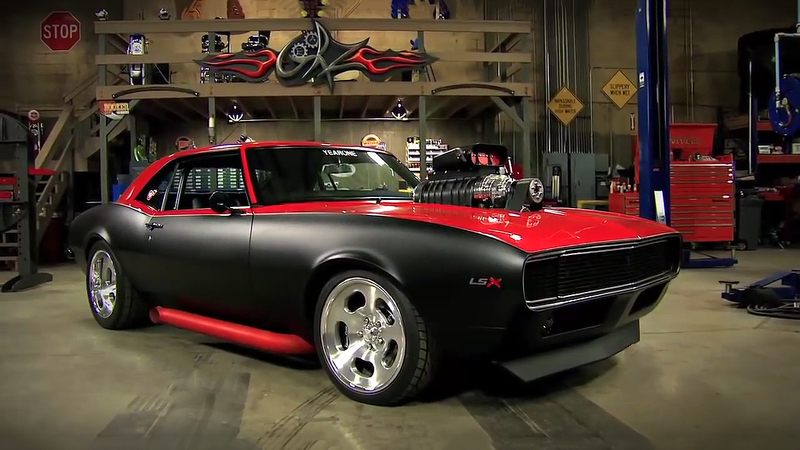 This LS7 engine is factory rated at 505 horsepower and 470 lb-ft of torque. 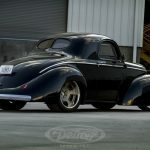 This hot-rod lies on the custom Detroit Speed Inc. chassis equipped with 18-inch custom wheels which are secured by Baer six-piston brakes and vented rotors.